The theme of Medea, killing her children in a fit of jealousy and desperation after being abandoned by Jason whom she followed into exile, was popular among many artists in the 19th century. 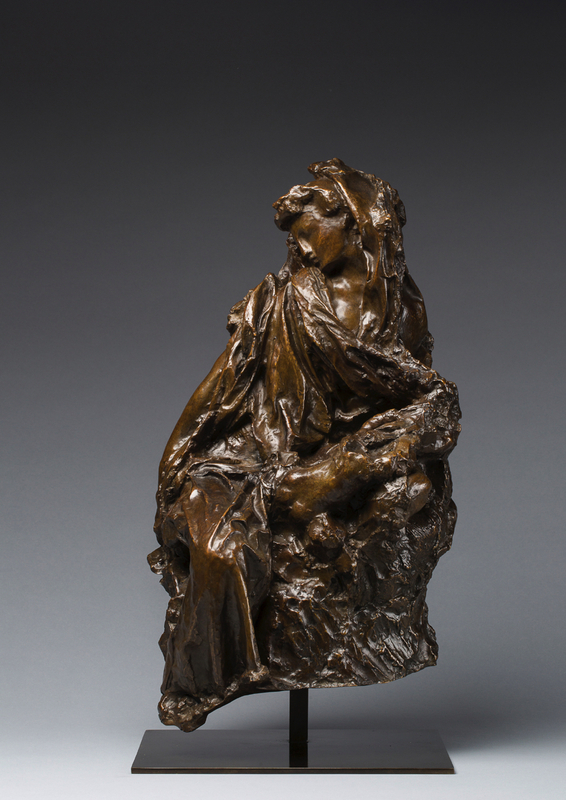 Through its pyramidal composition and the twist of Medea’s body, which seems to turn away from their children, Rodin’s group seems to particularly echo Delacroix’s painting (1838, Museum of Fine Arts in Lille). Médée is one of three works cast for the centenary of Rodin’s death.